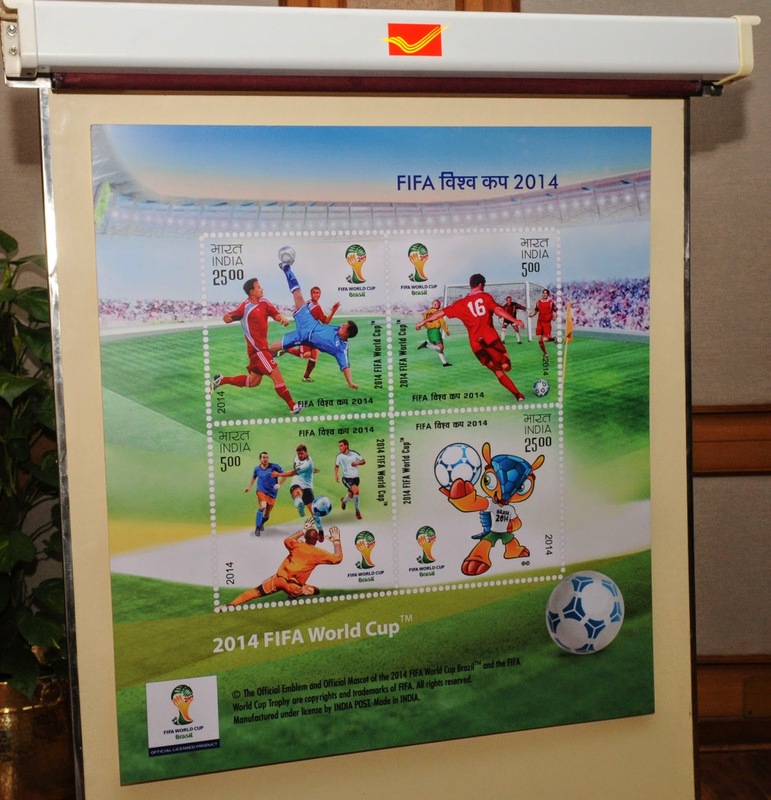 commemorative postage stamps on the 2014 FIFA World Cup that gets underway in Brazil Thursday night. Modi said the sport brings about a spirit of amity and belongingness among nations of the world. Modi hoped that the FIFA World Cup become a bridge for connecting nations together. Modi said that India is preparing to host the under-17 FIFA World Cup and also recalled the glorious history of football in India. He also urged the Department of Posts to also develop a website on the history of Indian football. The Prime Minister observed that commentary, especially radio commentary, probably played a key role in enhancing the popularity of cricket, and the art of commentary should be developed in other sports as well. The function was attended by several prominent sporting icons including K. Malleswari, Rajyavardhan Singh Rathore, Sunil Chhetri, Sushil Kumar, Ajit Pal Singh, Chunni Goswami, Subrata Bhattacharya, and Kirti Azad. All India Football Federation president Praful Patel was also present at the occasion.